I look out the window and know it’s soup season! There is nothing more comforting on a cold winter day than a warm bowl of soup and some fresh baked bread. If you’re like me, you’re not going to be baking from scratch, but with one of my favorite Savory Monkey Bread recipes and some quick and easy Creamy Potato Soup, you’ll have comfort food covered! Thank you Idahoan® Steakhouse® Soups for sponsoring this post. Enjoy the flavorful, slow-cooked taste of restaurant-quality soup at home, in minutes. While we don’t see many days with snow or freezing temperatures here in the south, we do get our fair share of dark and dreary winter days. Those are the days when all I want to do is curl up with a warm bowl of soup and get cozy with the family. Comfort food is the name of the game during the winter months but around here we need things to be pretty quick and easy. 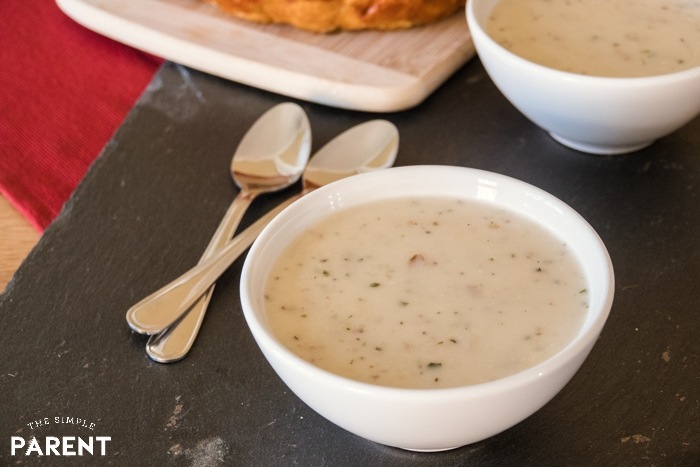 Idahoan Steakhouse® Soups are making it oh so easy for me to whip up a hearty soup and some warm bread for the family. It only takes minutes for me to make soup that has the flavorful, slow-cooked taste of restaurant-quality soup at home. I love the flavor variety because it gives me options for having the same basic meal without the family getting bored! 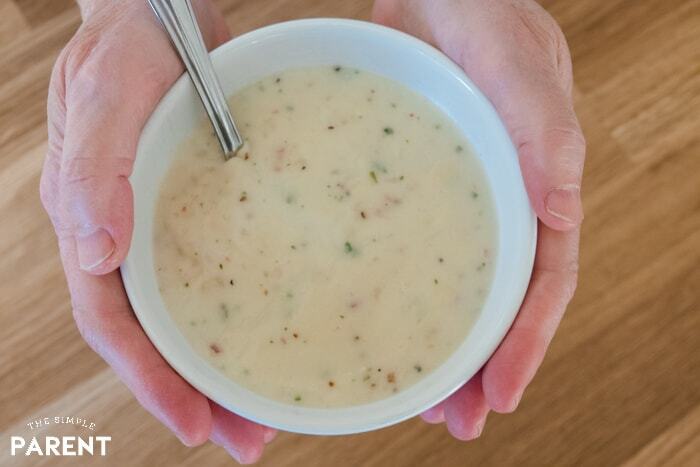 I’ll tell you that the Creamy Potato soup is packed full of flavor! Plus it was ready in just about 15 minutes which means I can whip up a quick dinner that offers warmth and comfort! This is exactly what I’m looking for on the busy nights where I’m running between the dance studio and the baseball field but still want to enjoy a meal with everyone. 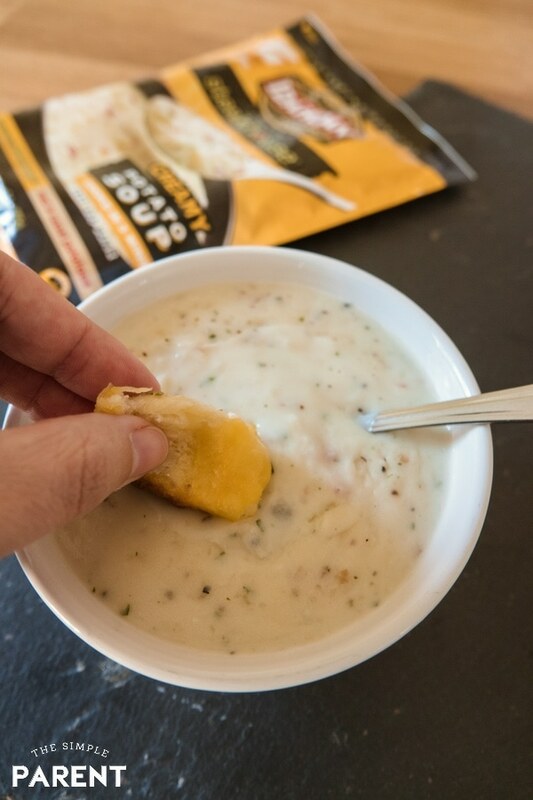 All you have to do is add water and the mix of flavorful seasonings and rich cheeses come together to give you a creamy, hearty soup made from real Idaho® potatoes. One of my favorite things to make is monkey bread. 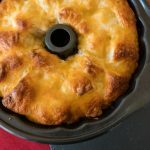 I usually make a sweet monkey bread with biscuits but when I was hunting for an easy bread to pair with our Idahoan Steakhouse soup, I knew that a savory monkey bread would be the perfect pairing! If you want to know how to make easy monkey bread, I’ve got the secret! Make your monkey bread with biscuits! 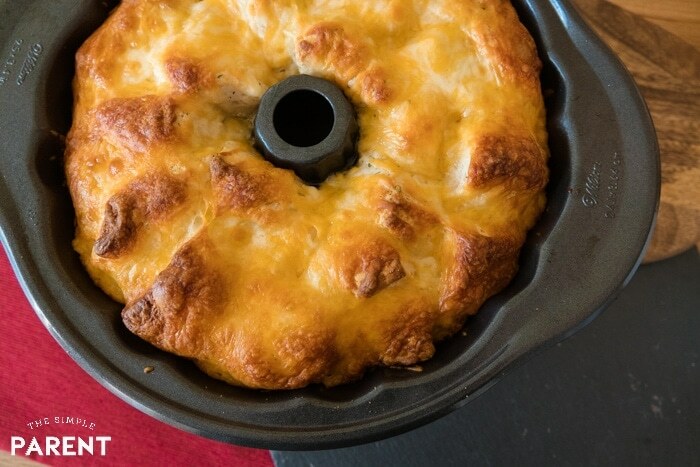 This Cheesy Ranch Monkey Bread is one of the easiest savory bread recipes you can make. All you need are two cans of refrigerated biscuits, a packet of ranch mix, shredded cheese, and some butter or margarine. 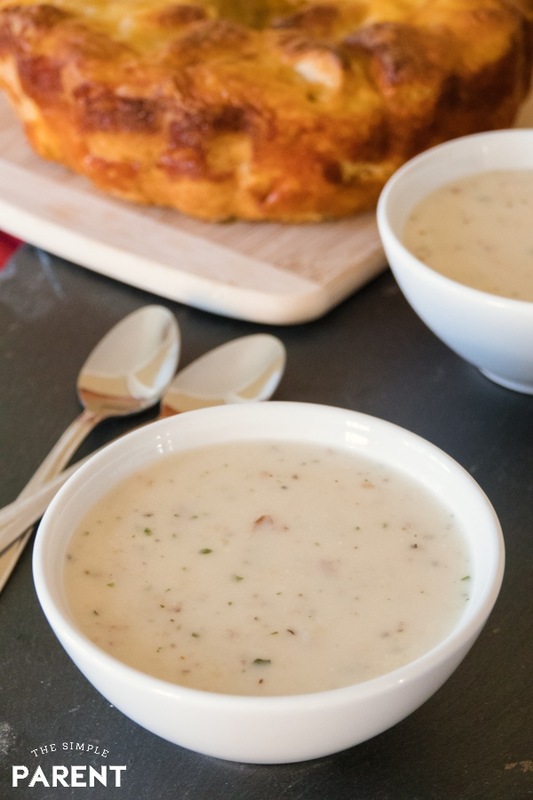 In less than 45 minutes, you’ll have fresh pull-apart bread to enjoy with your Idahoan Steakhouse Soups! Prep your bread and pop it into the oven. Right before its ready to come out, whip up your Creamy Potato soup and you’ll have a delicious meal! WHAT IS MONKEY BREAD MADE OF? It’s easy to make whether you decide to go sweet or savory. But this cheesy version just needs four ingredients and time to bake in the oven! Before you know it, you’ll be enjoying a warm and comforting meal! Preheat oven to oven to 350°F. Grease Bundt pan with nonstick cooking spray. Melt butter and mix ranch seasoning packet into it. Separate each can of biscuits and cut each biscuit into four pieces. Coat half of the biscuit pieces in the butter mixture and place in the pan. 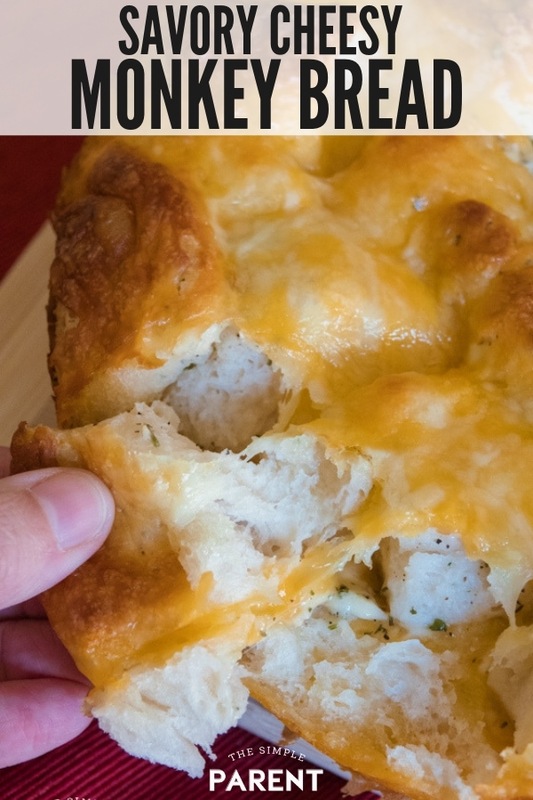 Sprinkle two cups of shredded cheese over the dough pieces. Coat the remaining biscuit pieces with butter mixture and place on top of cheese layer. Bake for 30-35 minutes or until the top is a golden brown. Remove from the oven and allow to stand for 5 minutes before removing from the pan. Run a knife around the edges of the pan to loosen the cheese and bread. Place a plate on top of the pan and turn over to remove the monkey bread from the pan. Then invert onto a serving plate so the good looking side is facing up. I love recipes where I can prep the food and leave the kitchen. Our savory monkey bread recipe is a perfect example of that type of recipe. 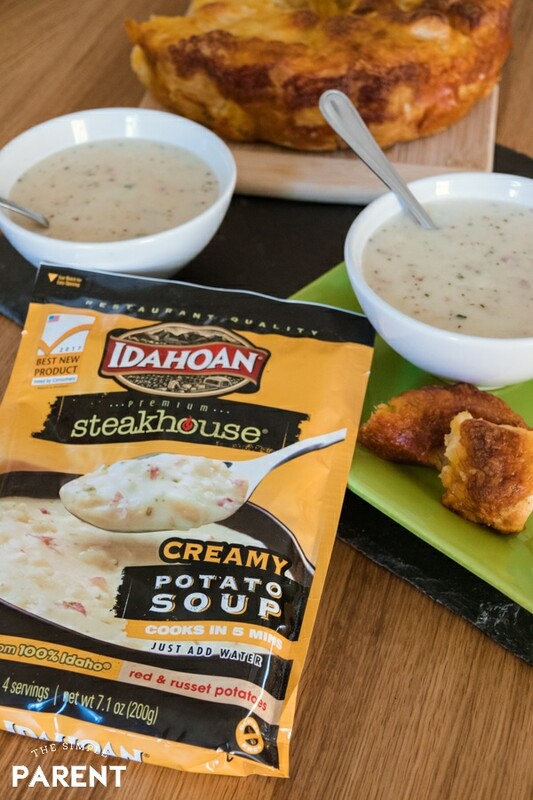 When paired with any one of the delicious Idahoan Steakhouse Soups you have a simple meal that can be used for an easy lunch or dinner. It’s perfect for school nights when you have to run to a PTO meeting or sports practice. But it’s also great on weekend afternoons when you’re all stuck inside together because of the cold or dreary weather. Cozy up and watch a movie or play a game together while you enjoy a warm and hearty meal!